Castle Beach is located in a wide sand-topped bay between Pendennis Head and the town centre. The south-facing, sheltered location makes it a popular sun-trap for families, swimmers, snorkelers and, of course, rock-poolers. Pendennis Castle is just visible from the beach – listen out for the noon-day gun. At low tide a vast swathe of rock pools are uncovered. 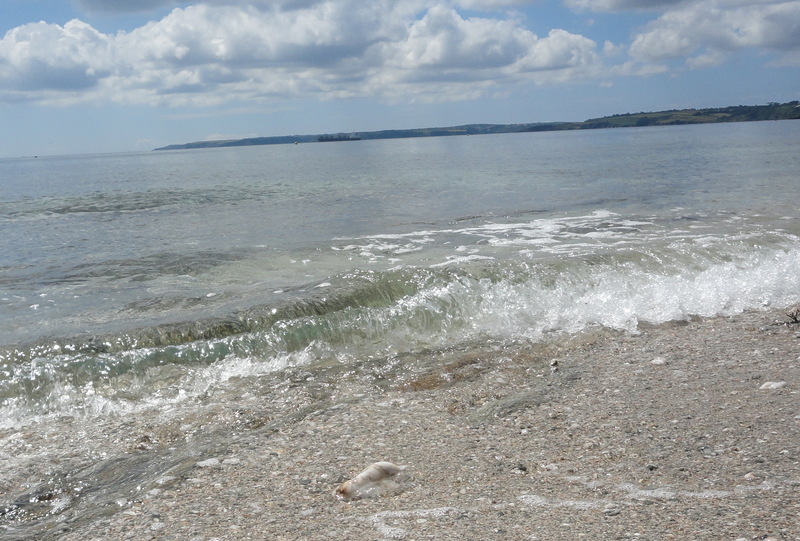 Gyllyngvase and Swanpool beaches are just a short walk away, along the same bay. 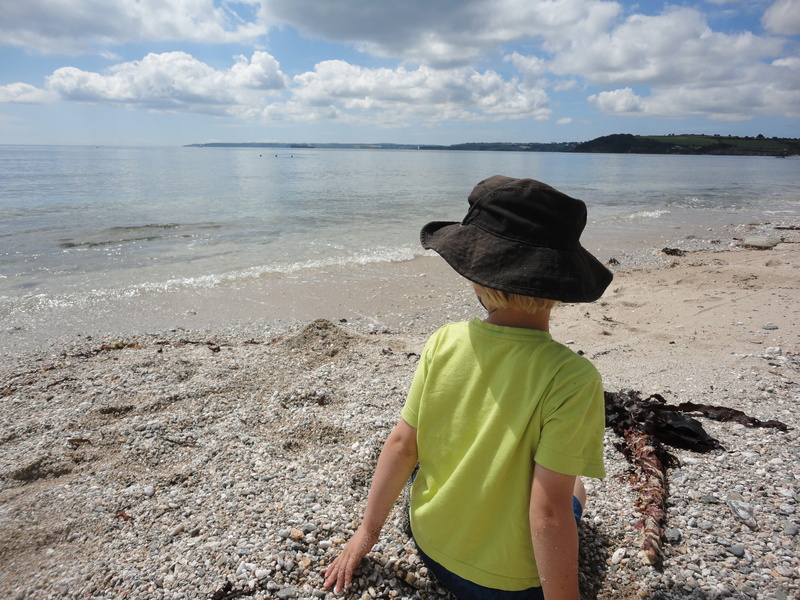 The beach is only 10-15 minutes by foot from the town centre and is just a few minutes’ walk from Falmouth Docks train station. There’s free parking on the seafront. Public toilets and a café are located just above the beach. Unfortunately the café was badly damaged in the winter storms and is being rebuilt – hopefully re-opening during the 2014 summer holidays. 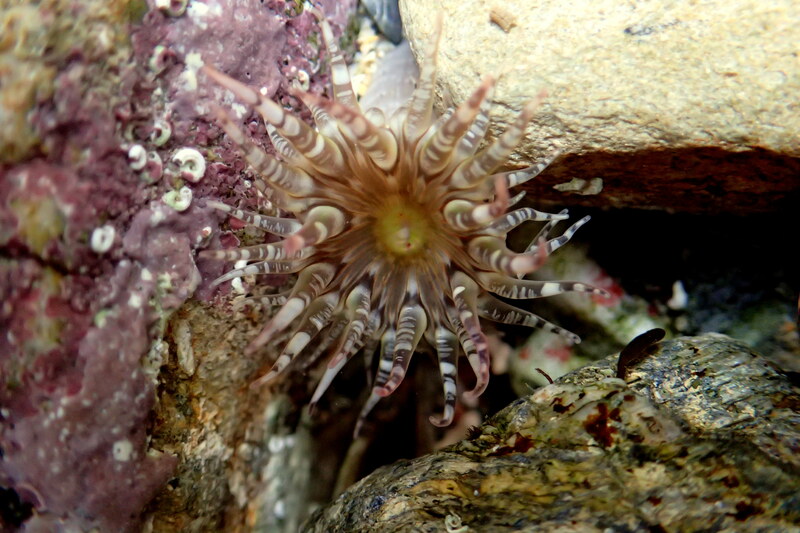 The pools are ideal for several species of anemone and for rock pool fish such as the rock goby and pipe fish (a relative of the sea horse). Look out for starfish under ledges and and in crevices. Head down to the low tide mark to find squat lobsters and large crabs. 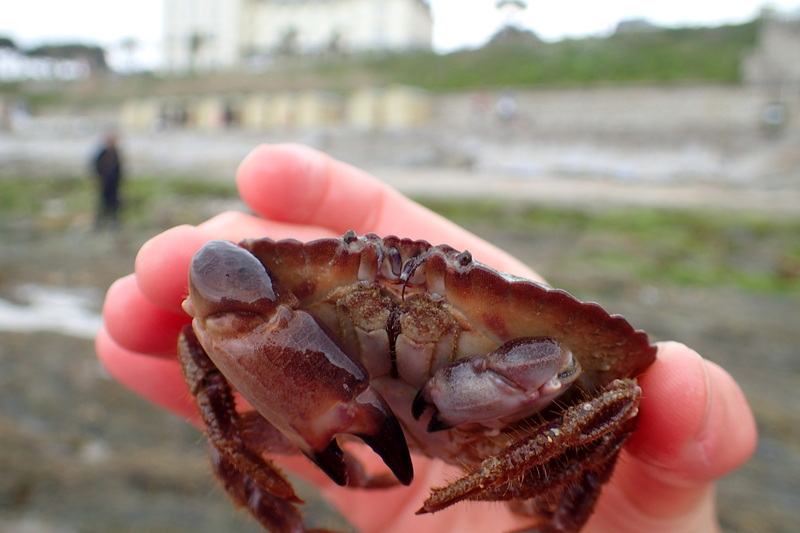 This is a great spot for crabbing – look out for edible crabs like this one as well as green shore crabs, velvet swimming crabs and more.. 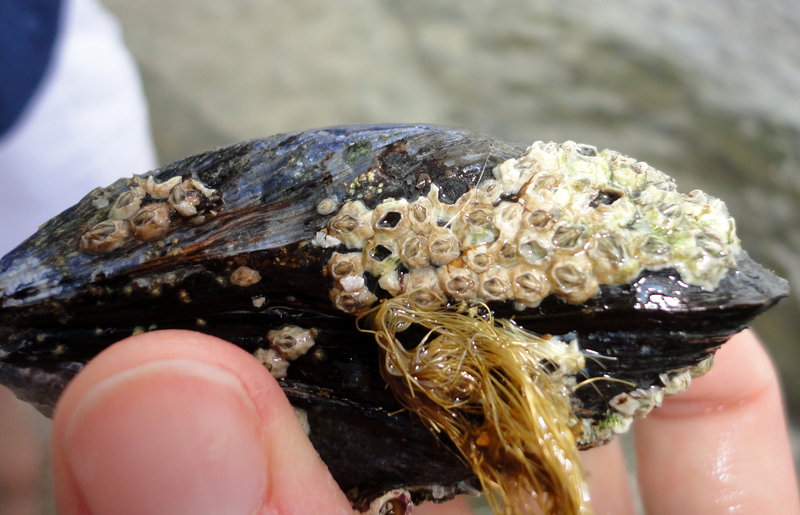 Edible mussel encrusted with barnacles. 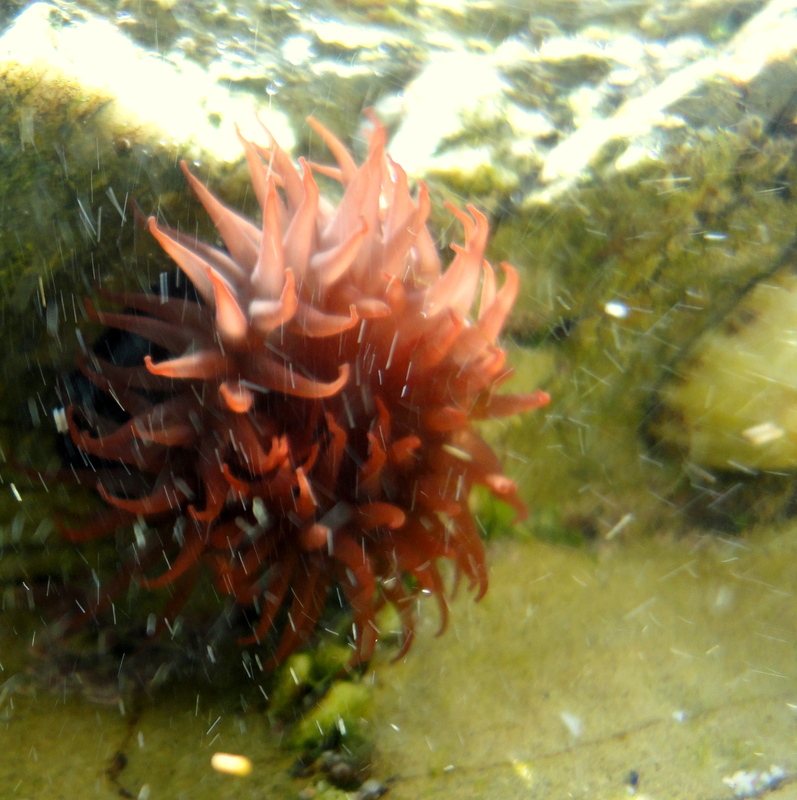 Look for anemones in the pools – the gem anemone is very small but worth searching for.